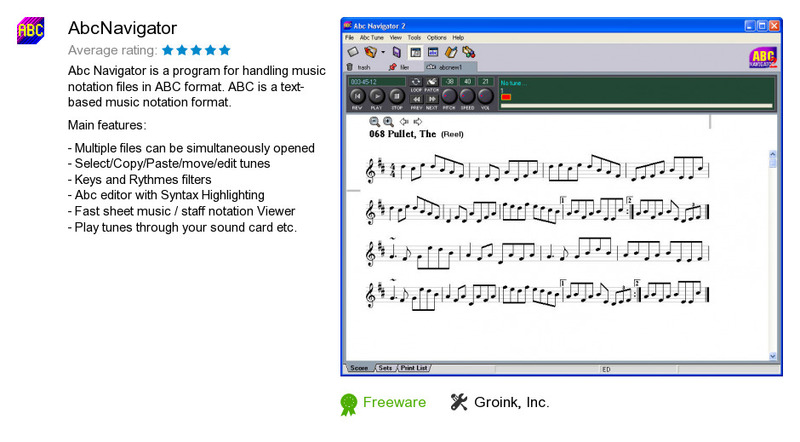 AbcNavigator is a software product developed by Groink, Inc.. We know of version 2.0. Version 2.0 is available for download at our site. AbcNavigator installation file has a size of 879,951 bytes. It works with the following extensions: abc.